Urquhart Castle – www.aboutscotland.co.uk/ness,urquhart.html within a 20 minute or so drive you reach the striking 16th century ruined Castle standing on the side of Loch Ness in the Great Glen. 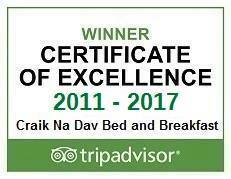 Drumnadrochit – about 20 minutes and offers the Loch Ness Monster Exhibitions and Visitor Centre (www.lochness.com), Divach Falls, Druim Farm Centre, John Cobb Monument, Abriachan Garden Nursery and Dochfour Gardens as just a few of its attractions. 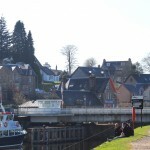 Fort Augustus – about 10 minutes away with St Benedicts Abbey, the Caledonian Canal buit by Thomas Telford with a fight of 5 locks down on to Loch Ness, the Clansman Centre and a Vitrified Fort. Beauly on the Black Isle – It is approximately 26 miles to this Black Isle village offering delicatessans, cafes and restaurants. 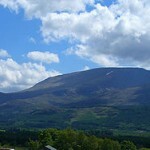 There is also the famous House of Beauly with speciality food shop, cafe, crafts, gifts and outdoor wear. The ruin of Beauly Priory built in 1230 is well worth a visit and boasts three rare 13th century triangular windows. Inverness – The Capital of the Highlands is approximately 40 minutes away and offers beautiful buildings as well as its Castle, Cathedral, museums and Theatre together with restaurants and a great variety of shops and cinema. The museum offers free exhibitions and displays on how the Celts and Picts lived, the wildlife of the Highlands and geology and fossils. 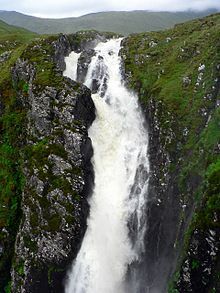 The Falls of Glomack – Just a short drive of about an hour from our B&B in Invermoriston by Loch Ness will take you to through Glen Sheil to Morvich where you can walk to the largest single drop waterfall in the UK called the Falls of Glomach in Kintail which are over 400 feet high. 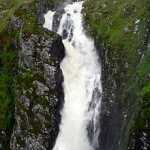 The falls of Glomach are fairly remote requiring a round trip on foot of about 7.5 mile from Morvich. 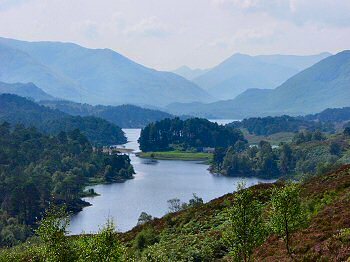 Glen Affric – Glen Affric, often described as the most beautiful glen in Scotland, stretches for some 30 miles from Kintail in the west to within a couple of miles of Cannich in Strathglass. The burns tumbling down the mountains on the north side of Glen Shiel and from Beinn Fhada culminate in two major streams – Allt a Chòmhlain and Allt Cam-bàn. 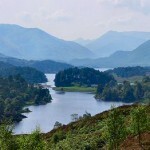 Together they combine to create the River Affric that flows through two major lochs to Fasnakyle in Strathglass where it meets with the Abhainn Deabhag to form the River Glass. The spectacle of the Dog Falls at the foot of the glen leads the visitor to Loch Beinn a’ Mheadhoin, known for the excellence of its trout fishing and beyond, by pathways, along Loch Affric to enjoy the magnificence of the Highlands. 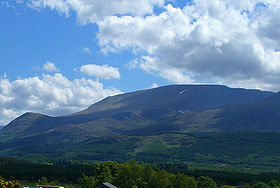 Aonach Mor Cable Car / Gondola – The gondolas transport visitors effortlessly from 300ft up to 2150ft on the north face of Aonach Mor, the eighth highest mountain in Britain. The journey takes approximately 12 – 15 minutes each way, and each gondola can accommodate up to six people inside. The journey allows breathtaking views of the Scottish Highlands, including the Great Glen, Ben Nevis, and surrounding areas. On a clear day this spectacular view can extend as far as the Inner Hebrides. Frequent visitors often remark that every visit to Nevis Range can be extremely different with the changing seasonal colours. Eilean Donan Castle – As one of the most iconic images of Scotland, Eilean Donan is recognised all around the world. Situated on an island at the point where three great sea lochs meet, and surrounded by some majestic scenery, it is little wonder that the castle is now one of the most visited and important attractions in the Scottish highlands. Although first inhabited around the 6th century, the first fortified castle was built in the mid 13th century and stood guard over the lands of Kintail. Since then, at least four different versions of the castle have been built and re-built as the feudal history of Scotland unfolded through the centuries. 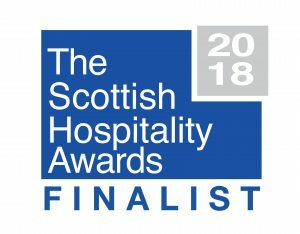 Partially destroyed in a Jacobite uprising in 1719, Eilean Donan lay in ruins for the best part of 200 years until Lieutenant Colonel John MacRae-Gilstrap bought the island in 1911 and proceeded to restore the castle to its former glory. After 20 years of toil and labour the castle was re-opened in 1932. 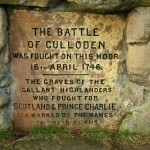 The Culloden Experience – The exciting new Culloden Battlefield visitor centre and exhibition opened in December 2007. 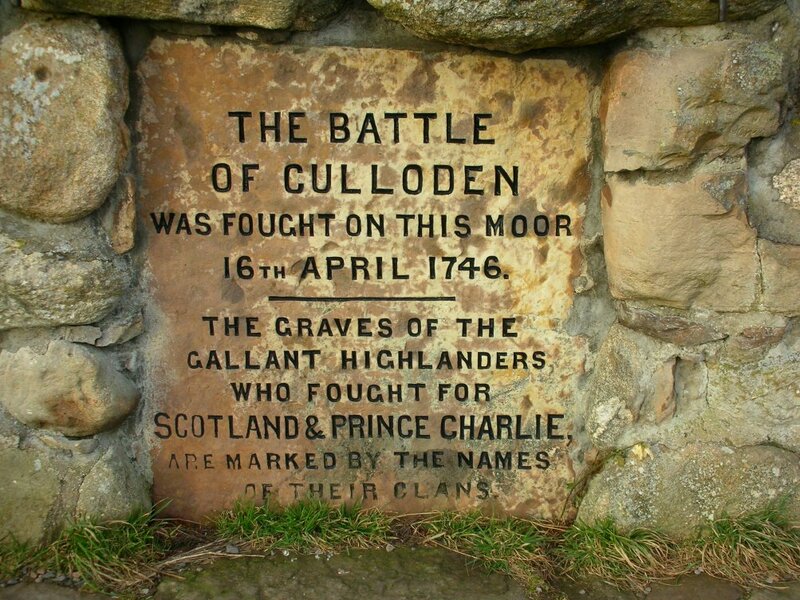 Through recent archaeological and historical research the National Trust for Scotland discovered that the previous centre was sited on the third Government line of the battlefield. With the Trust’s resolve to return the battlefield to as close as we know it on 16 April 1746, the centre was moved. The previous facilities had struggled to cope with visitor numbers at peak times and its site will be returned to being part of the battlefield. The new centre and exhibition allows the whole Culloden story to be told in an innovative and interactive way which appeals to all the family.